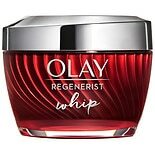 Shop Olay Regenerist Whip Face Moisturizer (1.7 oz. )1.7 oz. $3899$38 and 99 cents$22.94 / oz. 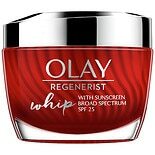 Shop Olay Regenerist Whip Face Moisturizer SPF 25 (1.7 oz. )1.7 oz. 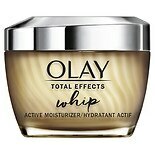 Shop Olay Total Effects Whip Face Moisturizer (1.7 oz. )1.7 oz. 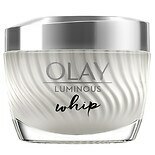 Shop Olay Luminous Whip Face Moisturizer (1.7 oz. )1.7 oz. 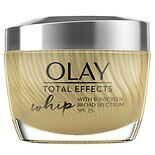 Shop Olay Total Effects Whip Face Moisturizer SPF 25 (1.7 oz. )1.7 oz.